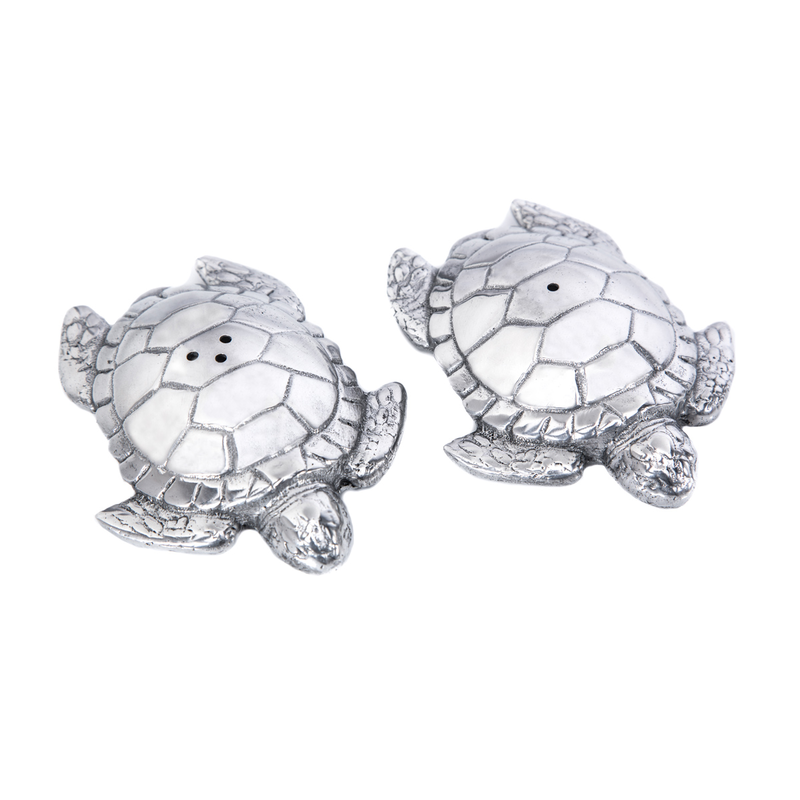 Accent your seaside dining room with the Aluminum Sea Turtle Salt & Pepper Set. These salt and pepper shakers feature charming sea turtles for a beautiful addition to your home. This unique piece is designed by Arthur Court. This coastal kitchen decor ships from the manufacturer. Allow 1 week. Cannot express ship. For many more offerings, we encourage you to take the time to browse our whole collection of coastal kitcen decor at Bella Coastal Decor now.